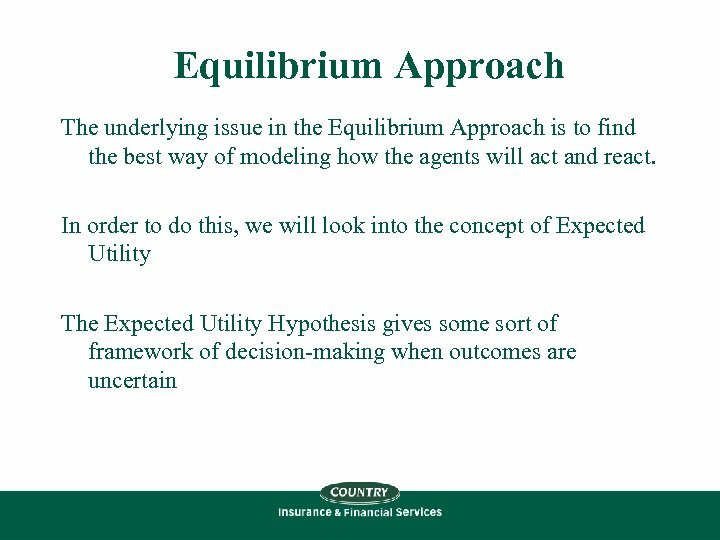 Equilibrium Approach What if something changes? 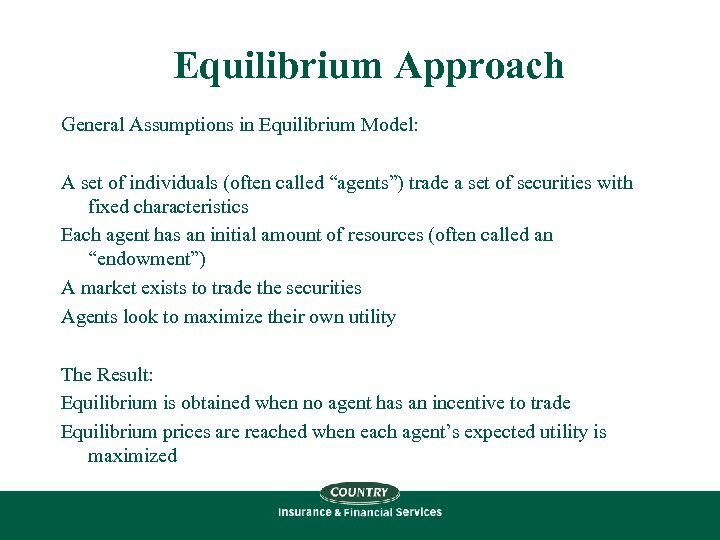 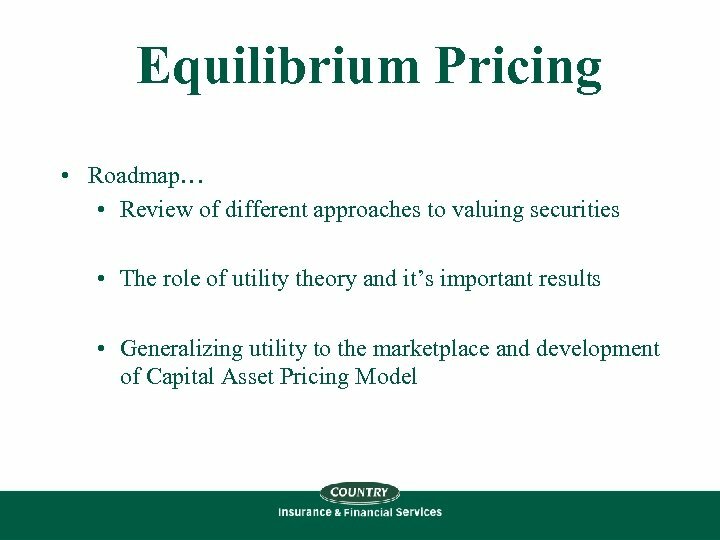 If any of the conditions in the market change, the equilibrium prices will change as well. 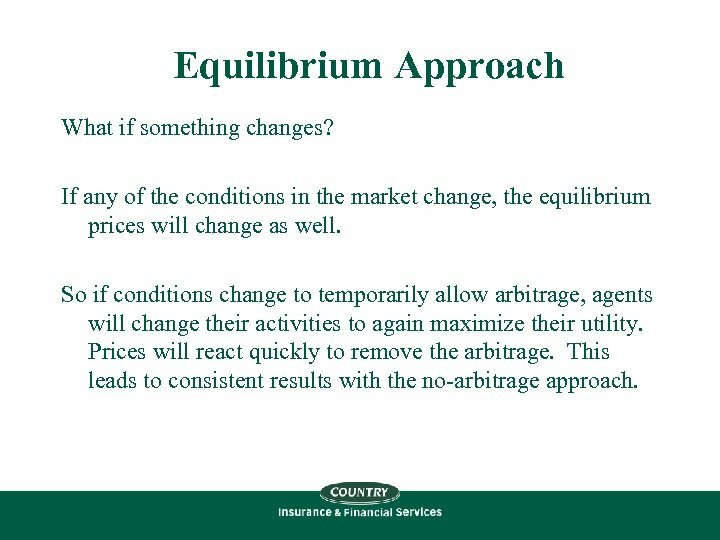 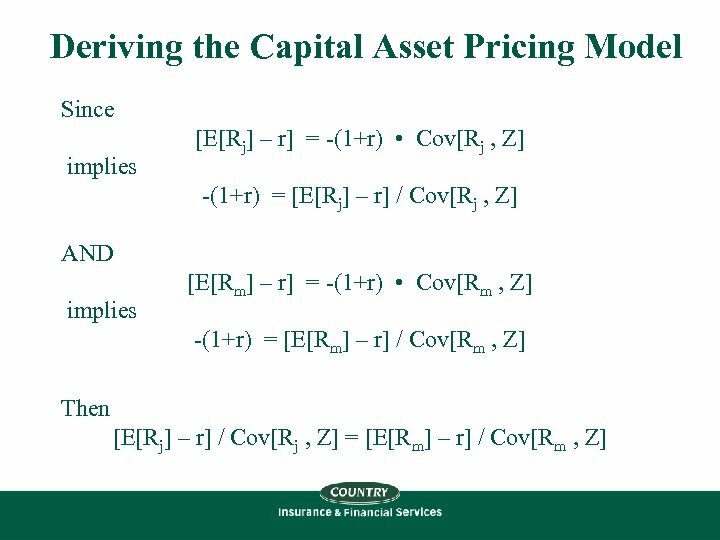 So if conditions change to temporarily allow arbitrage, agents will change their activities to again maximize their utility. 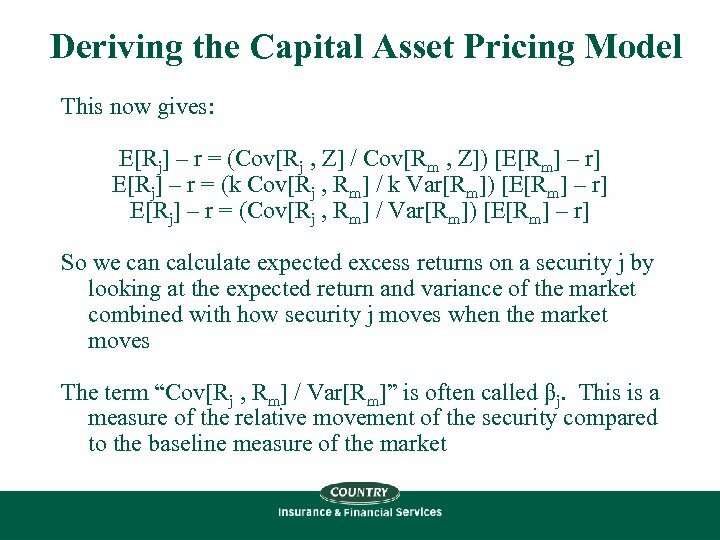 Prices will react quickly to remove the arbitrage. 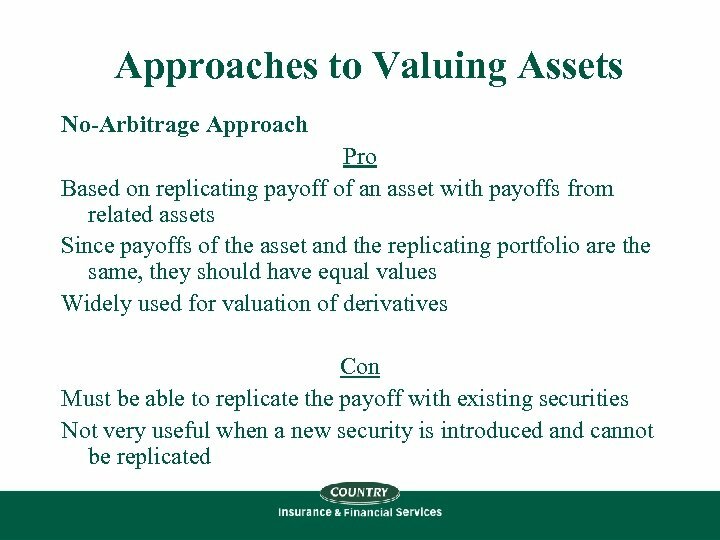 This leads to consistent results with the no-arbitrage approach. 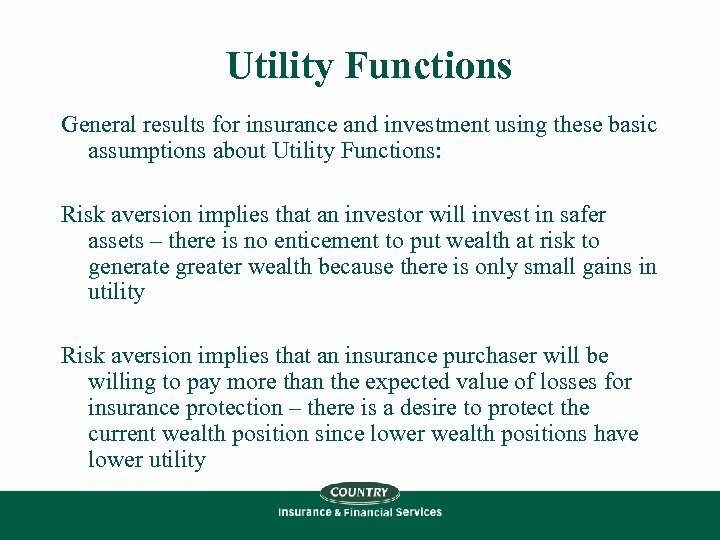 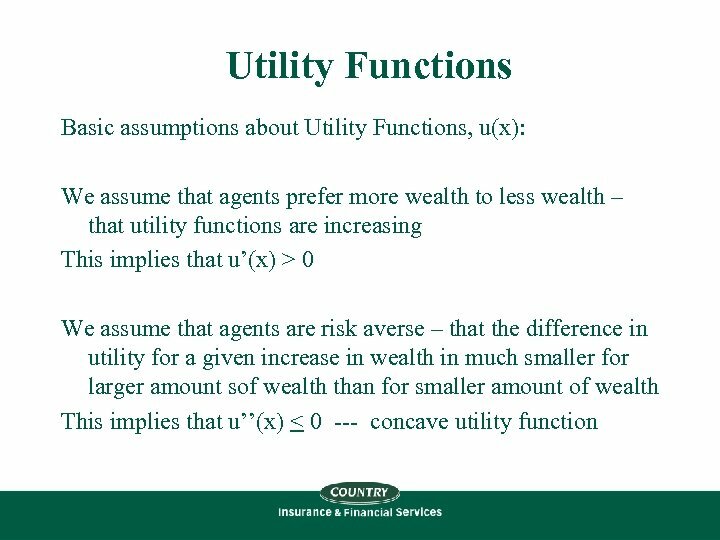 Utility Functions Examples of utility in making decisions: We can talk about the concept of utility in a few scenarios If we want to increase our wealth, we can consider how utility will help us make investment decisions – how will our utility function help us decide whether to invest our wealth in risk-free versus risky assets? 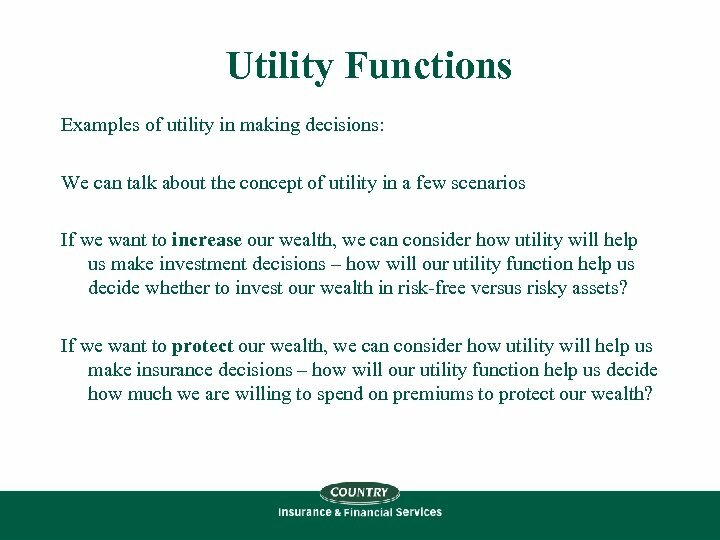 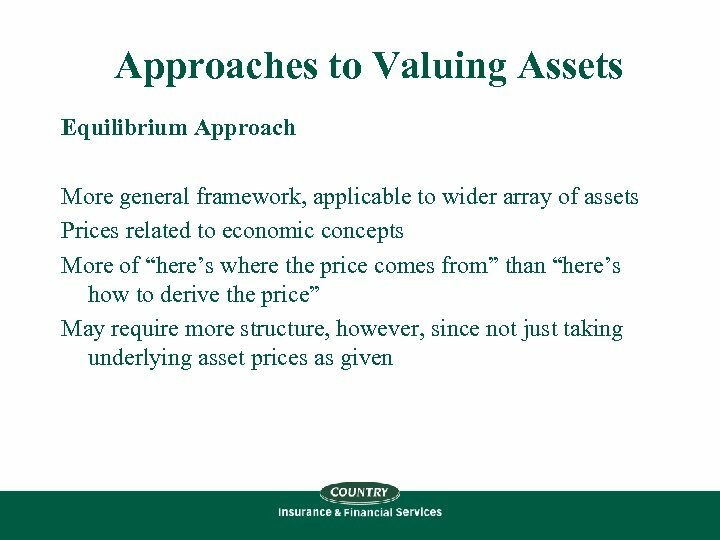 If we want to protect our wealth, we can consider how utility will help us make insurance decisions – how will our utility function help us decide how much we are willing to spend on premiums to protect our wealth? 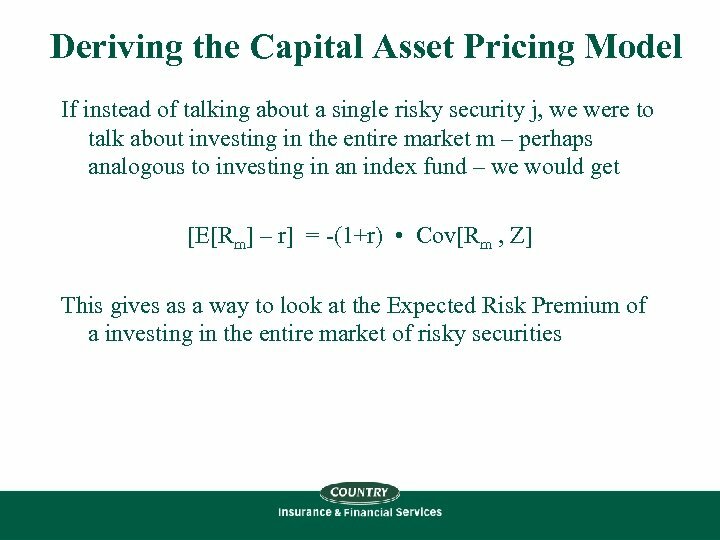 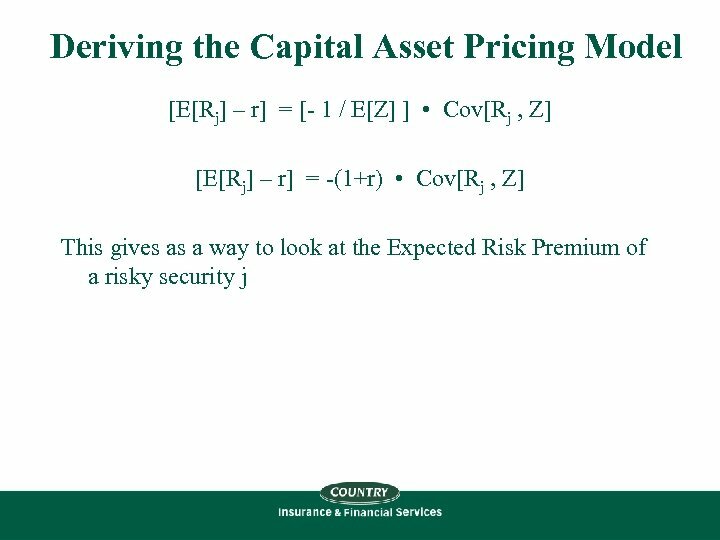 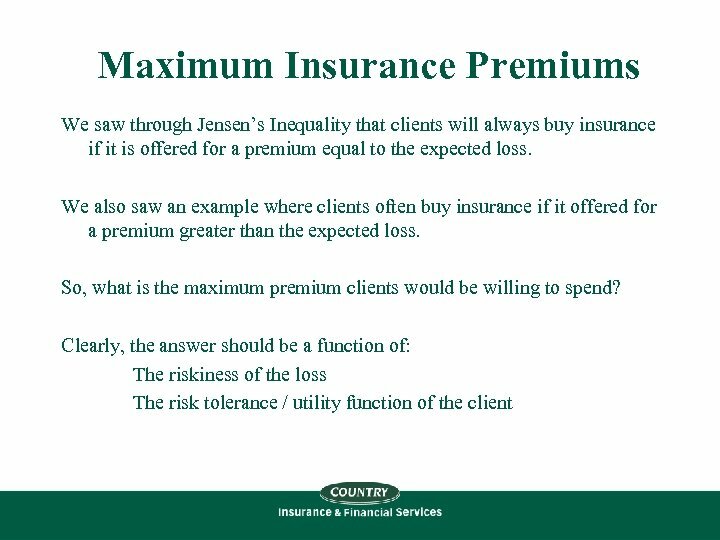 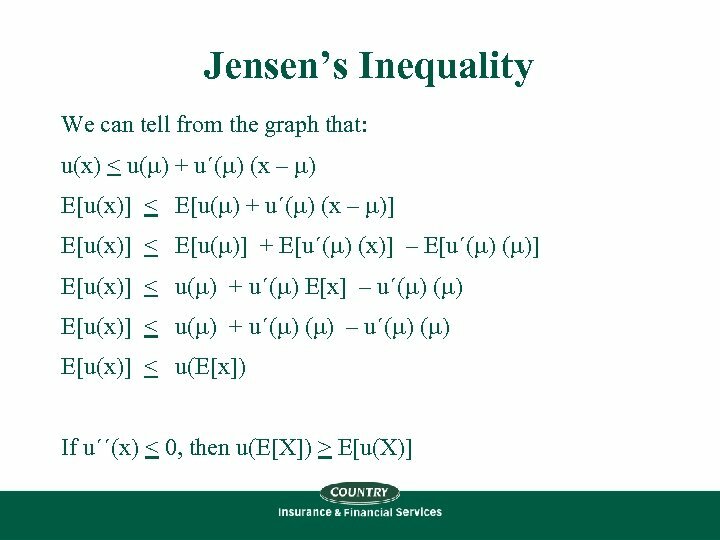 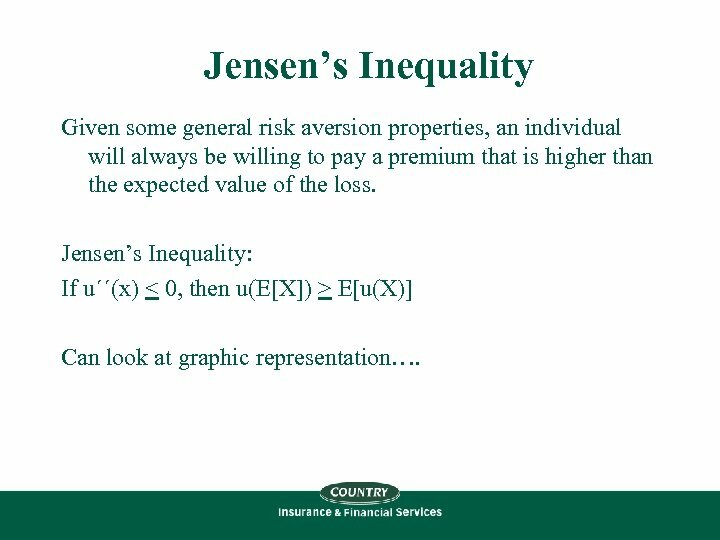 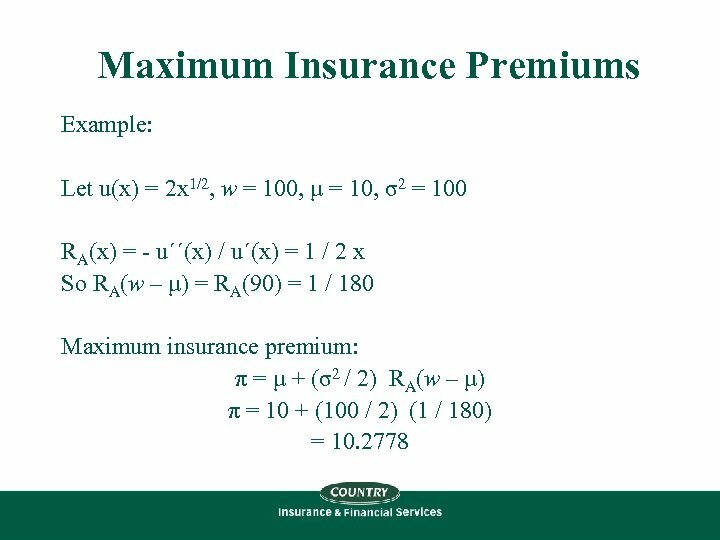 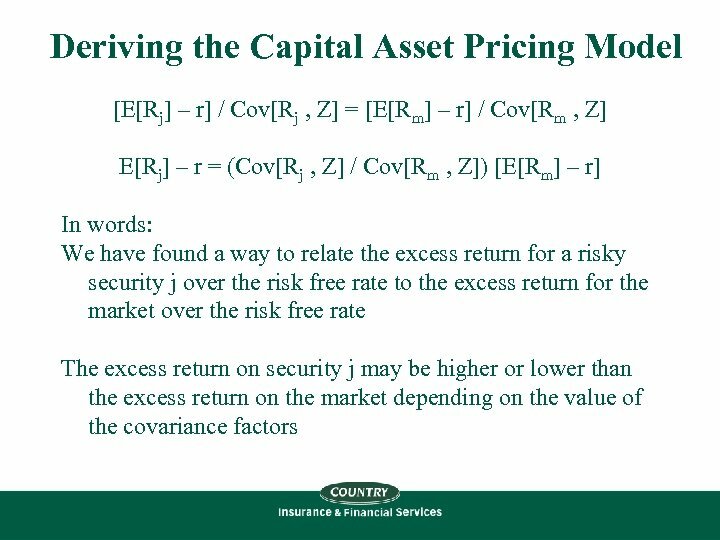 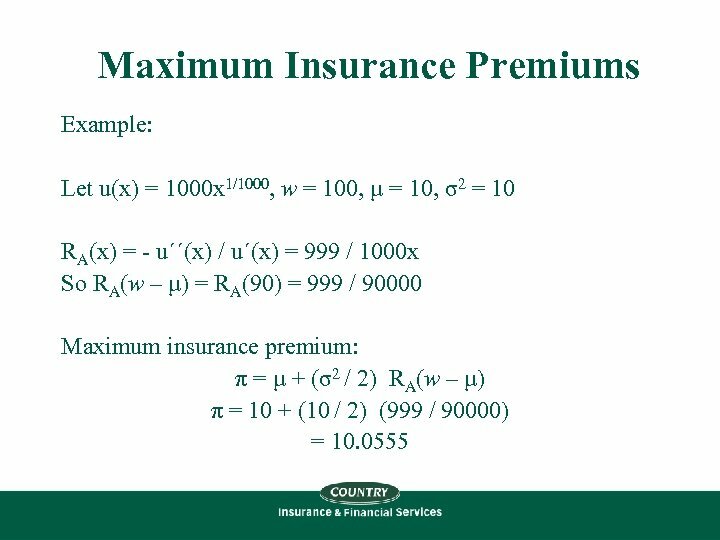 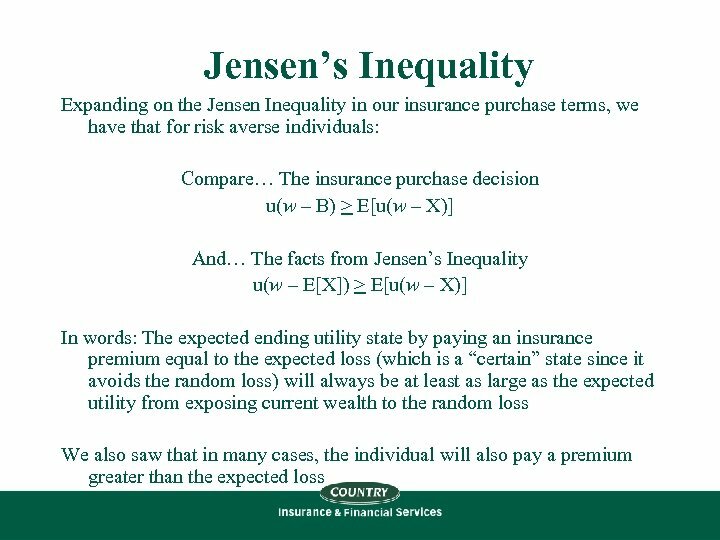 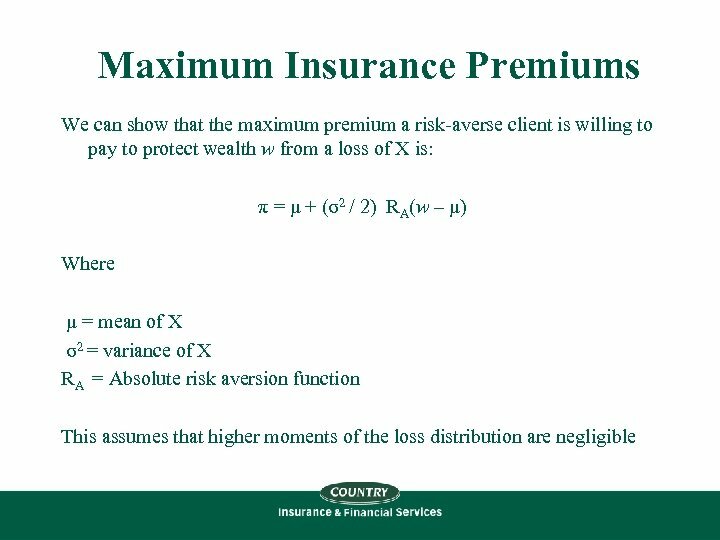 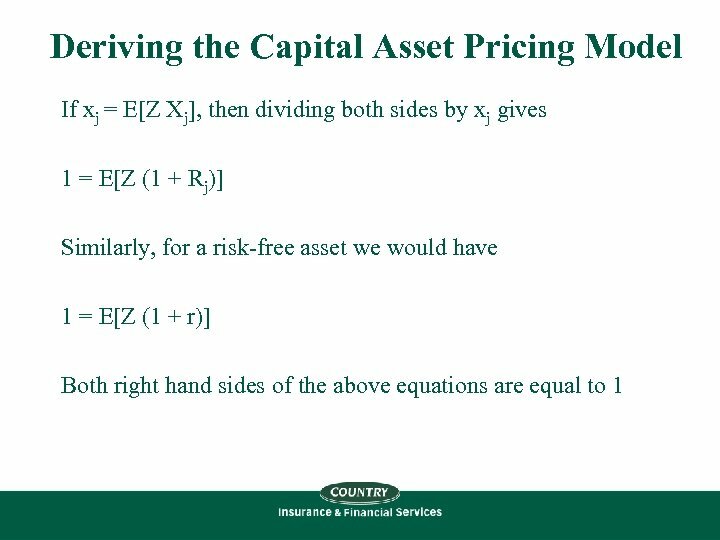 Jensen’s Inequality Given some general risk aversion properties, an individual will always be willing to pay a premium that is higher than the expected value of the loss. 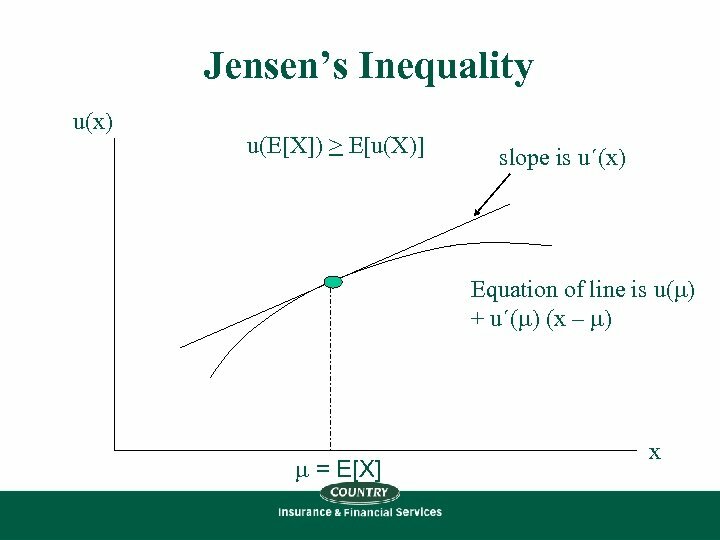 Jensen’s Inequality: If u´´(x) < 0, then u(E[X]) > E[u(X)] Can look at graphic representation…. 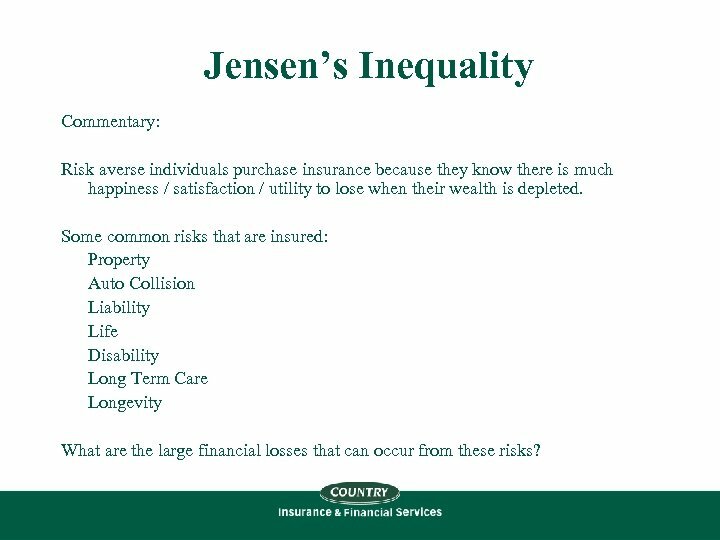 Jensen’s Inequality Commentary: Risk averse individuals purchase insurance because they know there is much happiness / satisfaction / utility to lose when their wealth is depleted. 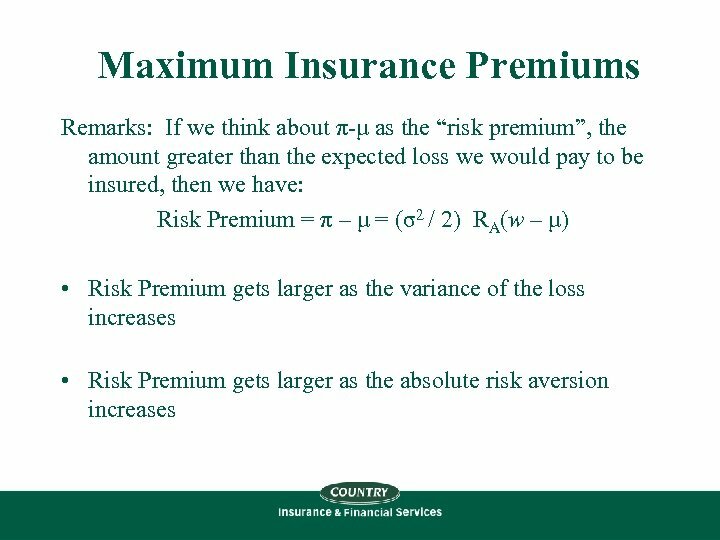 Some common risks that are insured: Property Auto Collision Liability Life Disability Long Term Care Longevity What are the large financial losses that can occur from these risks? 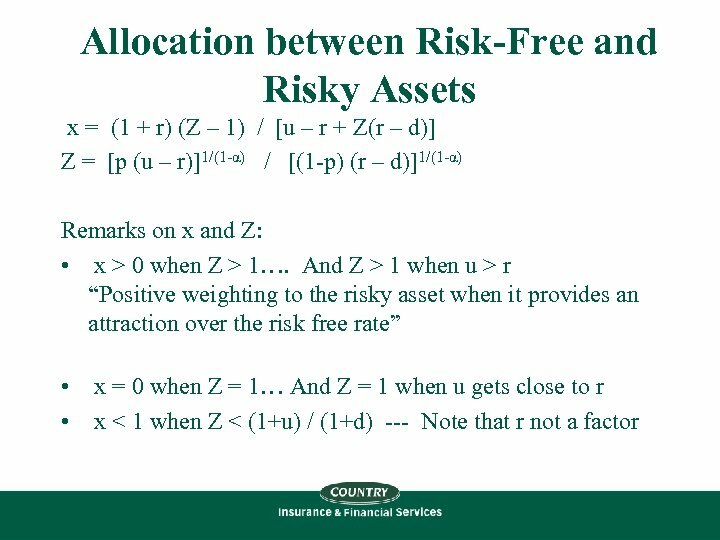 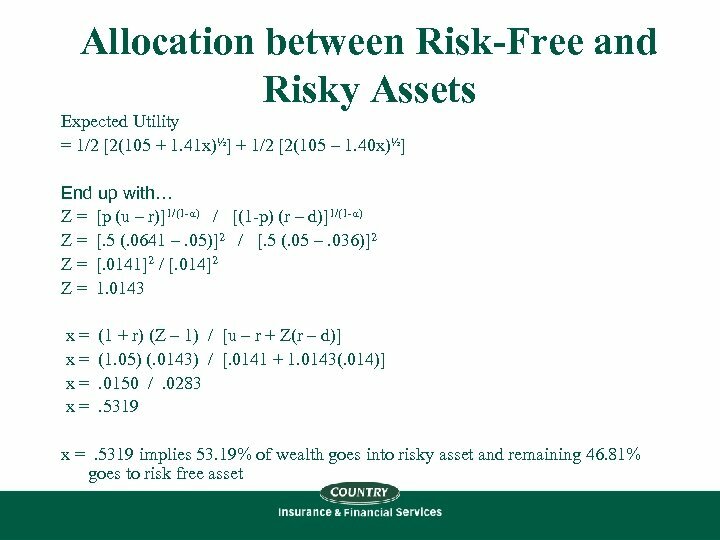 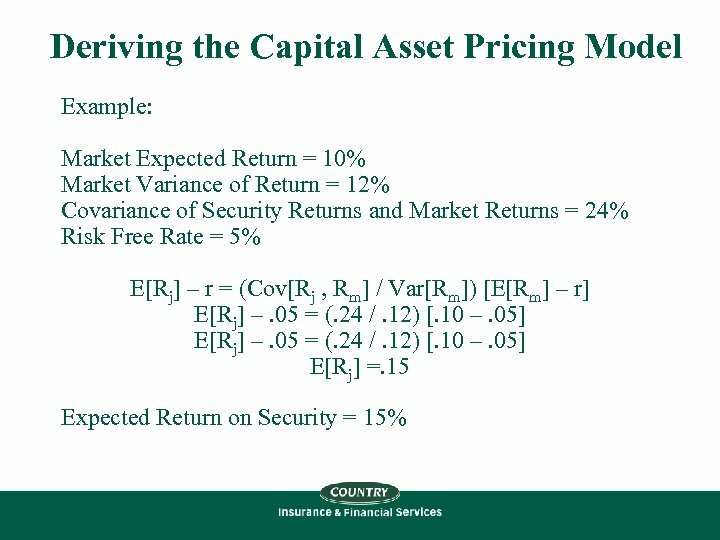 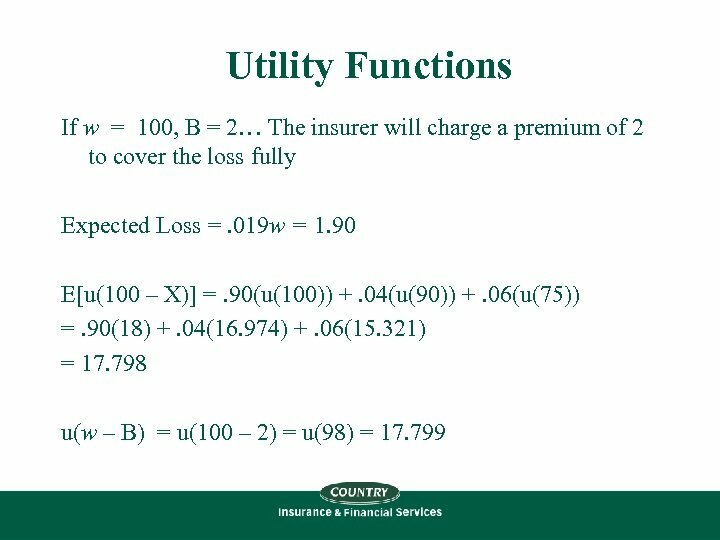 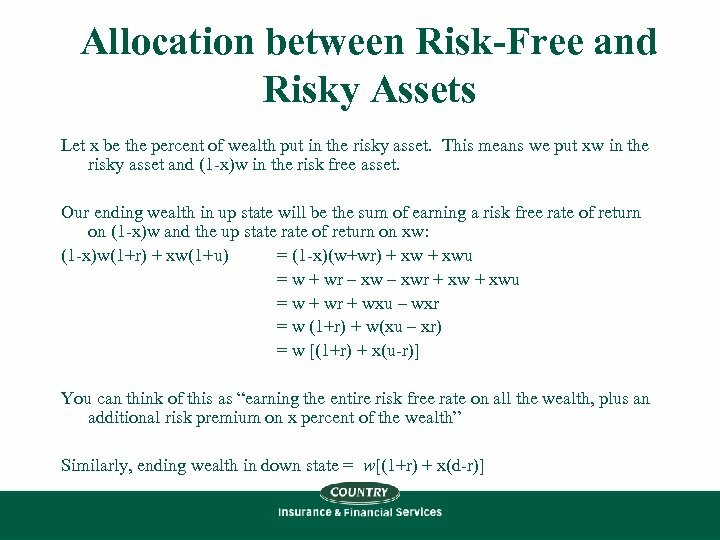 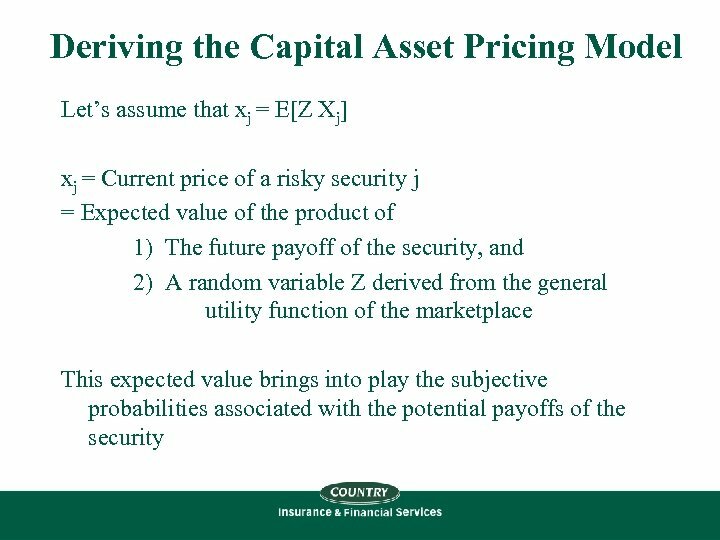 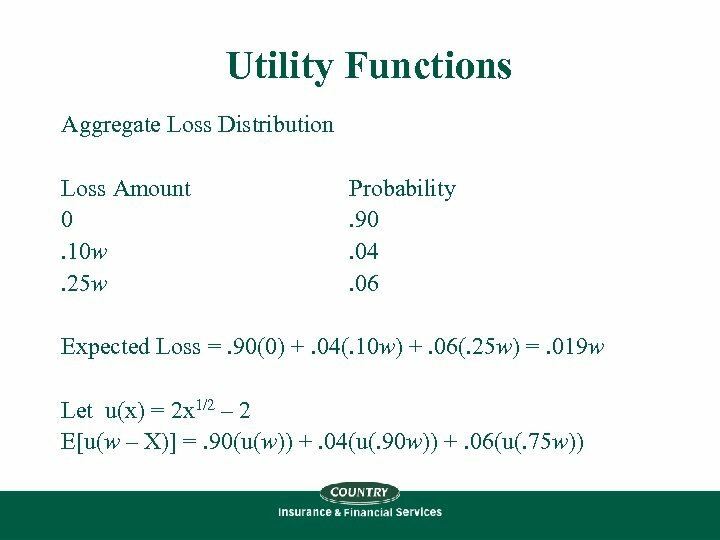 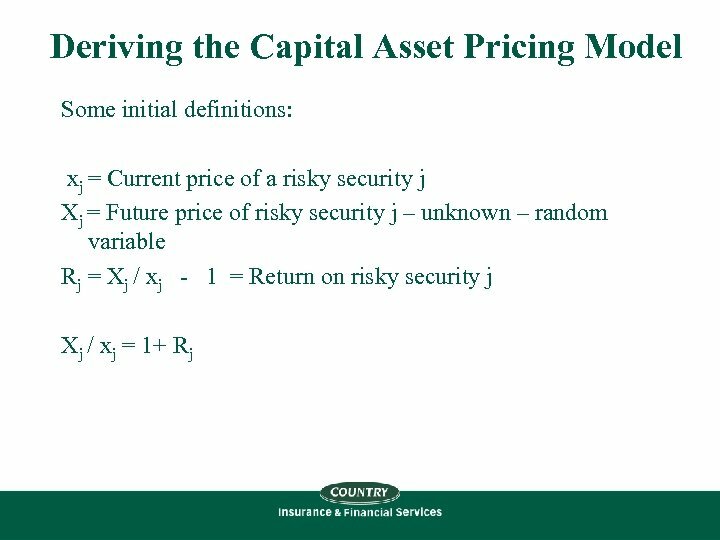 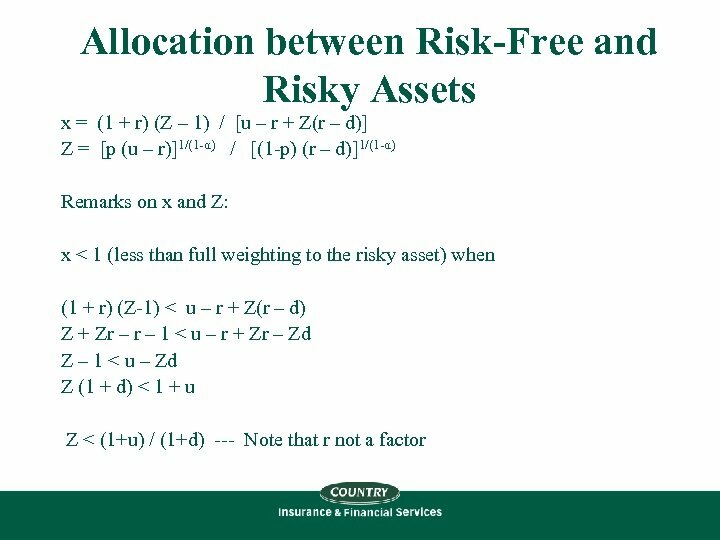 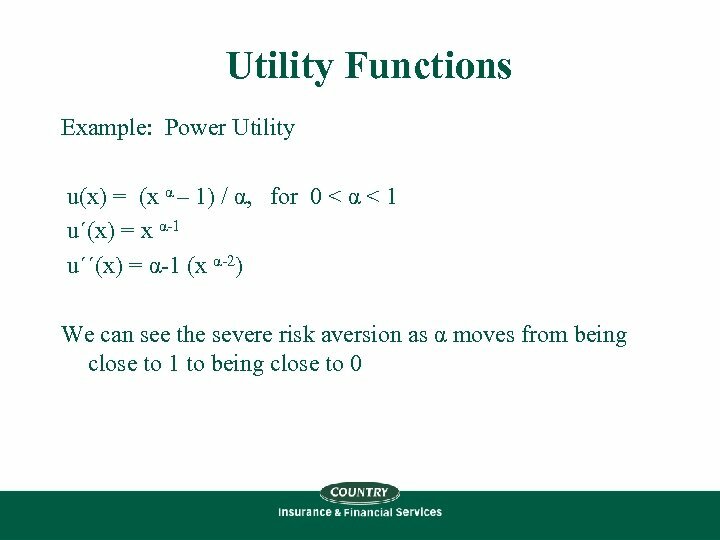 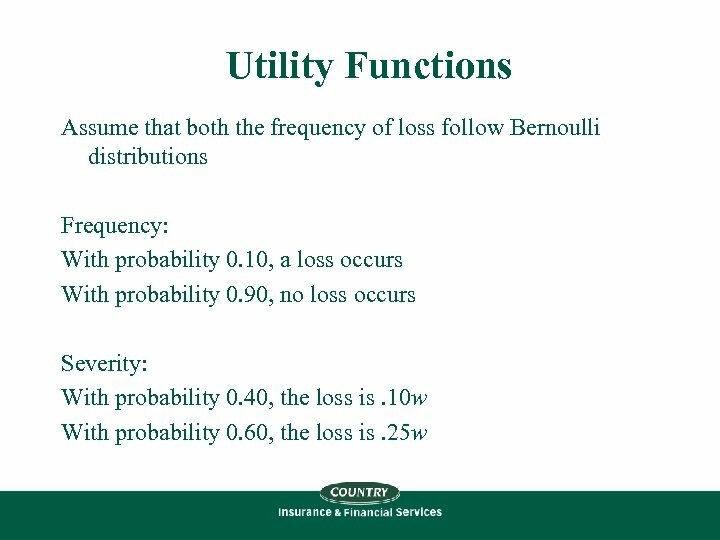 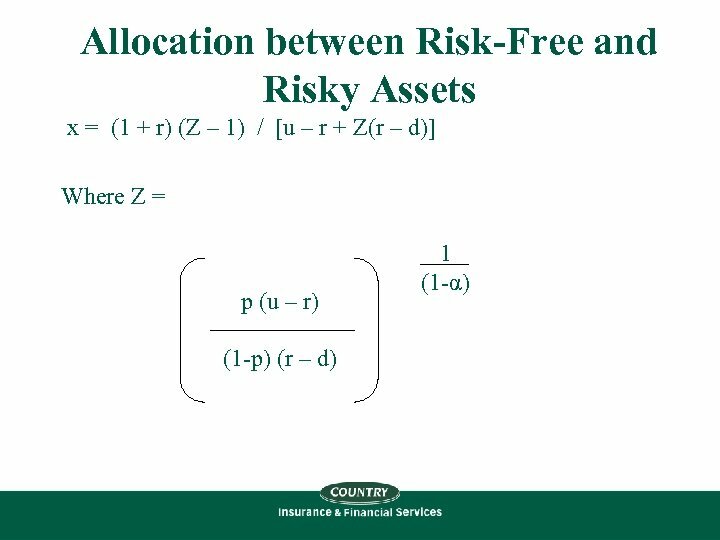 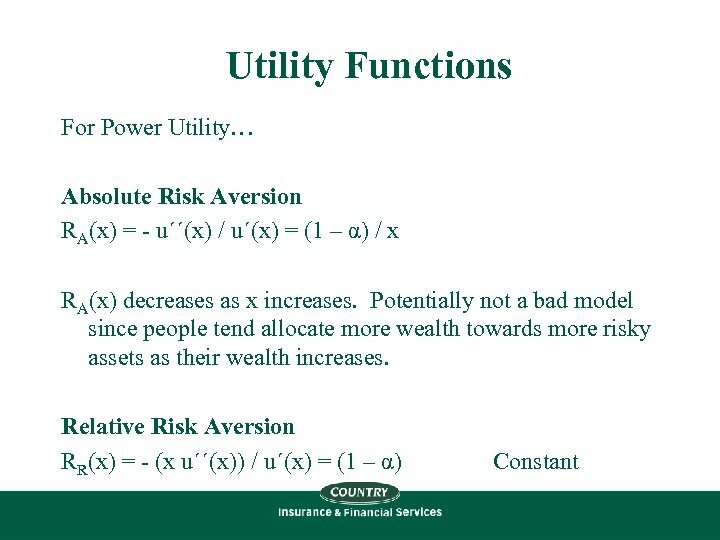 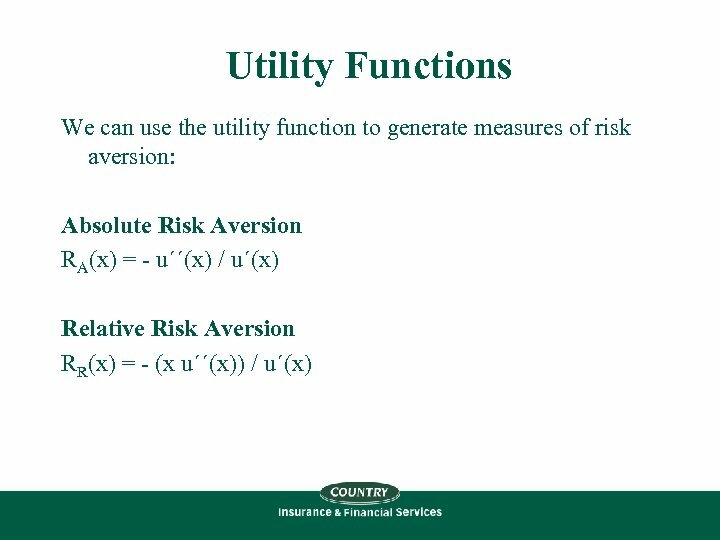 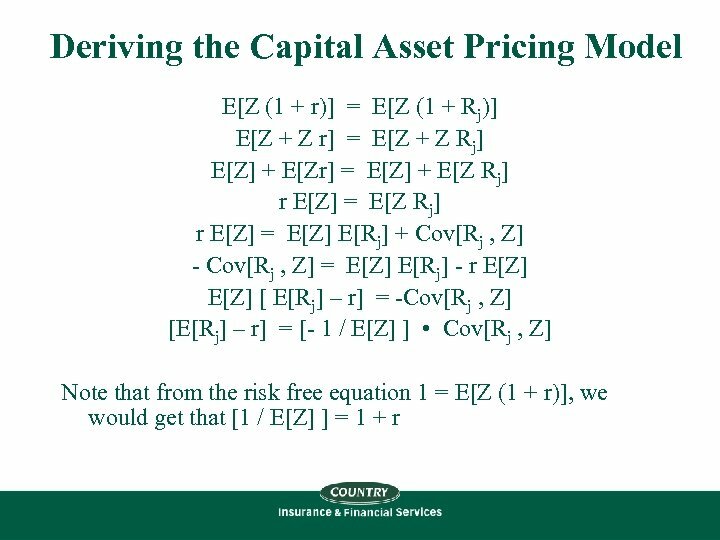 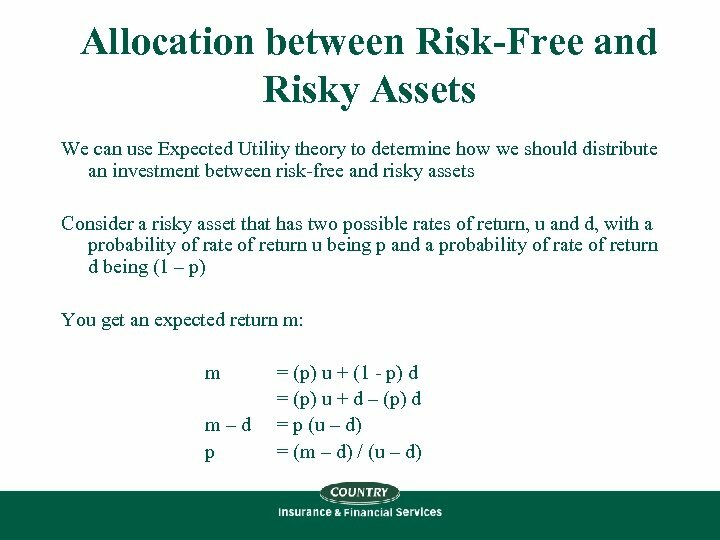 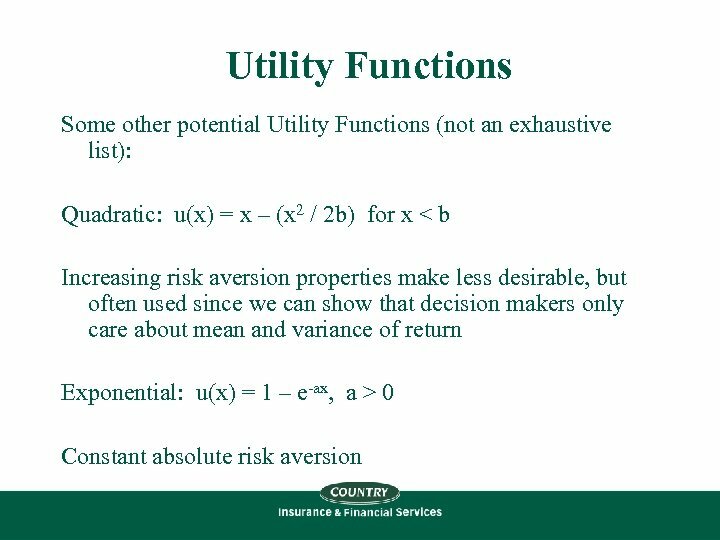 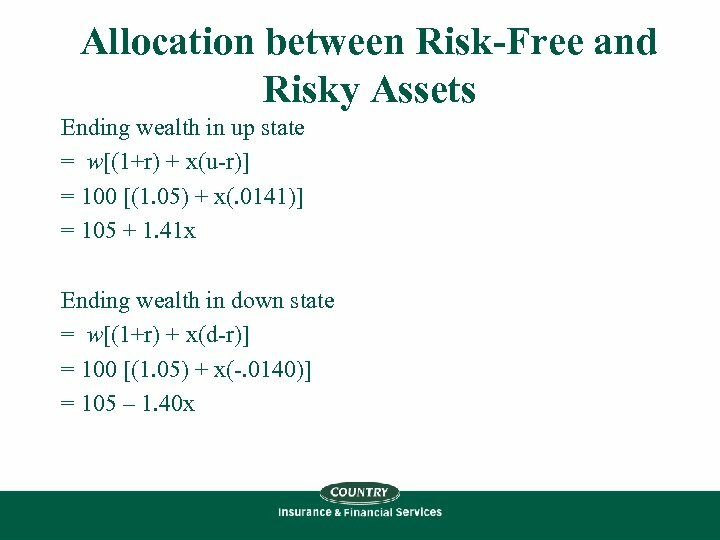 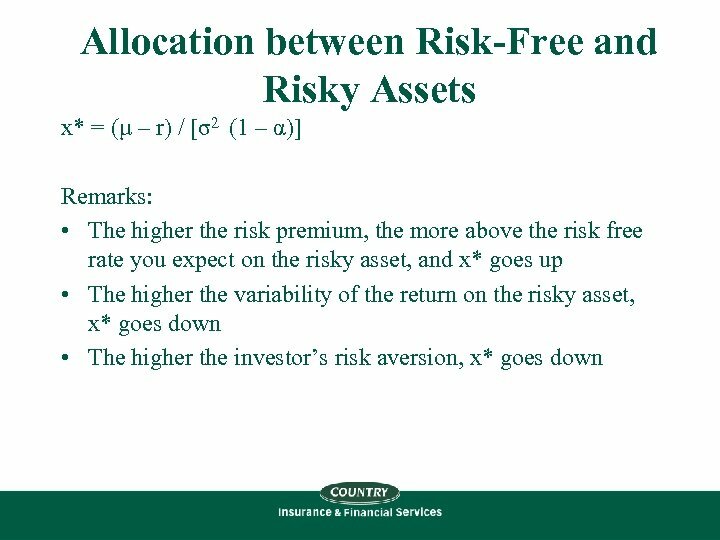 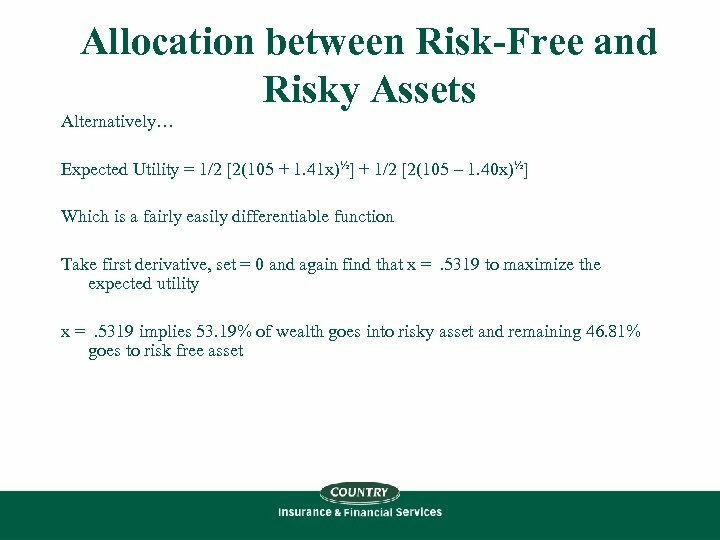 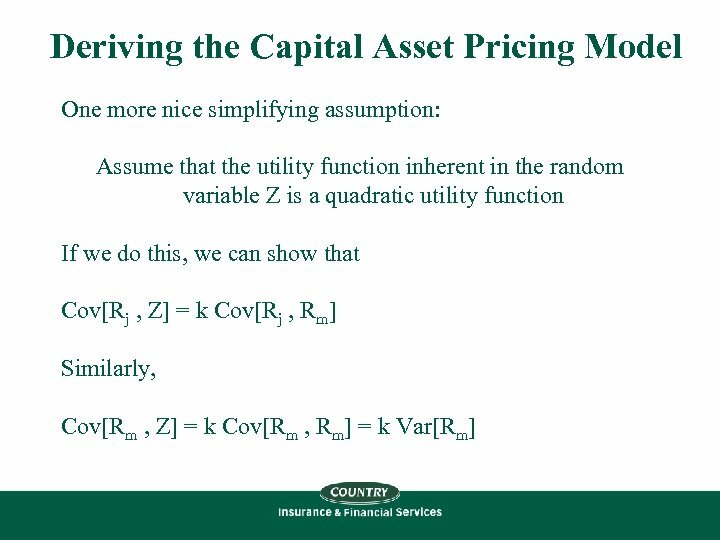 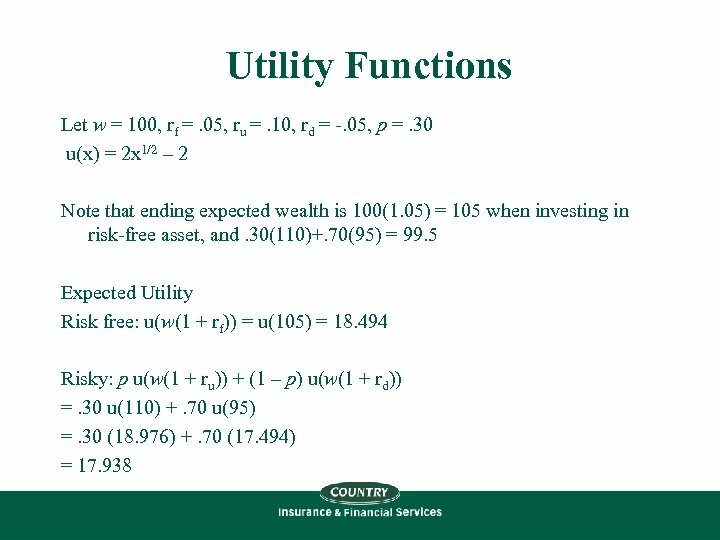 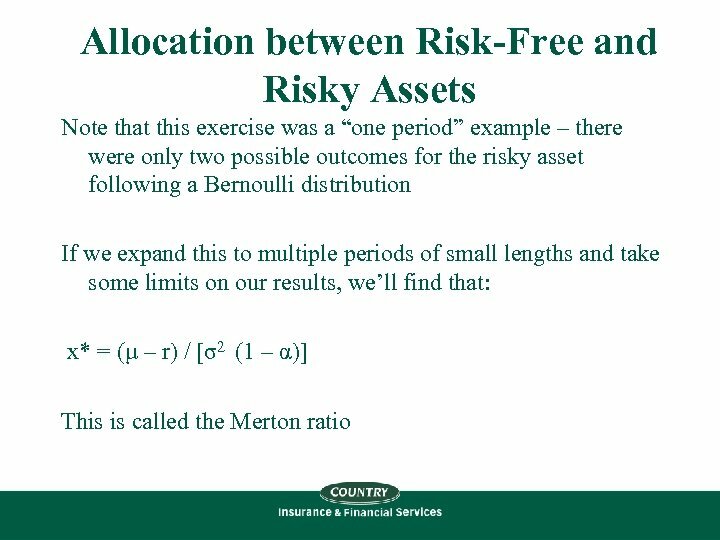 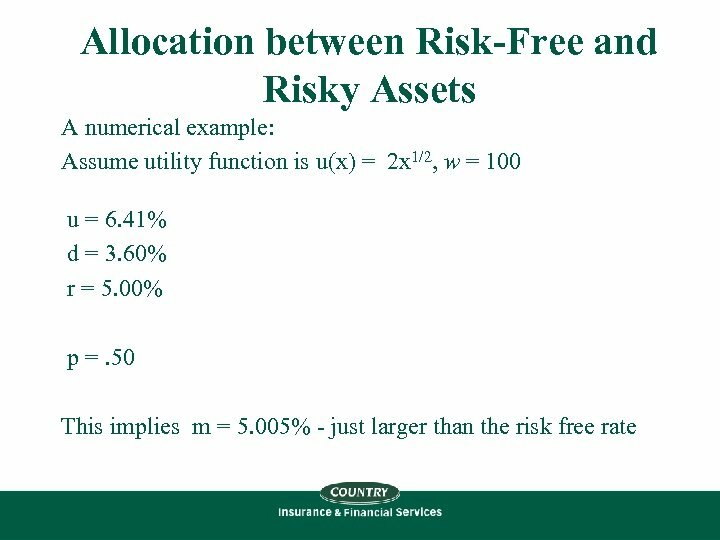 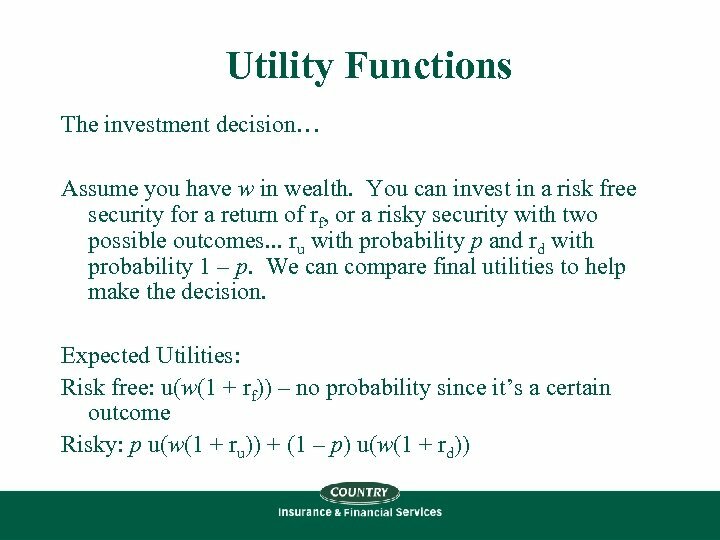 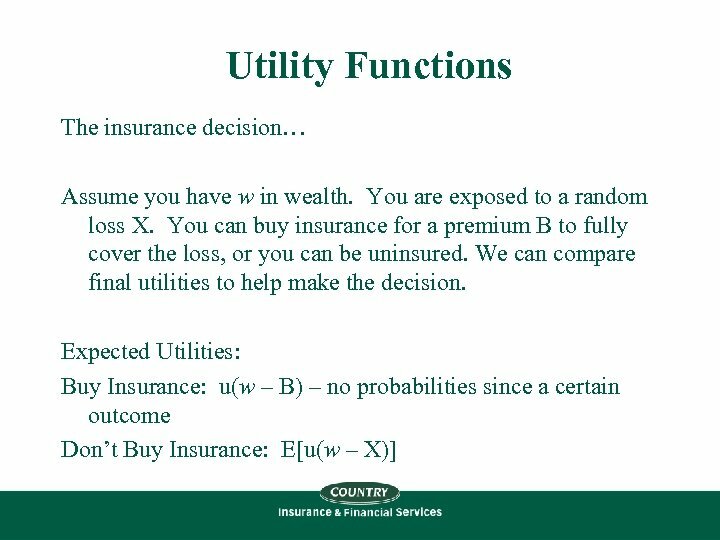 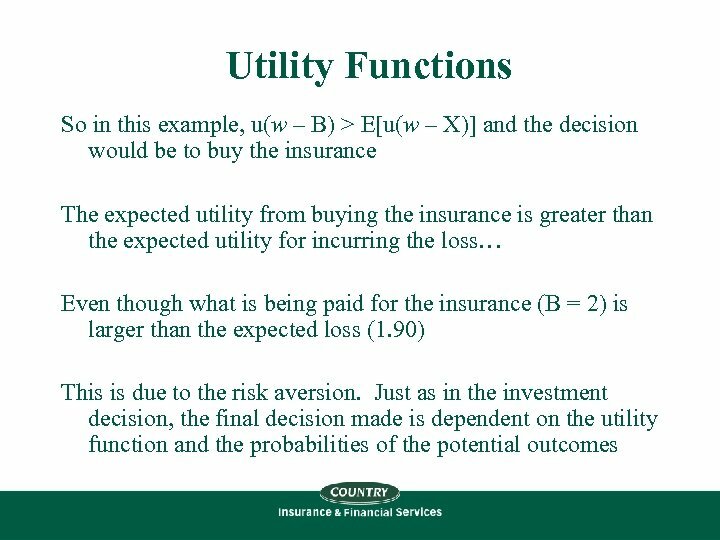 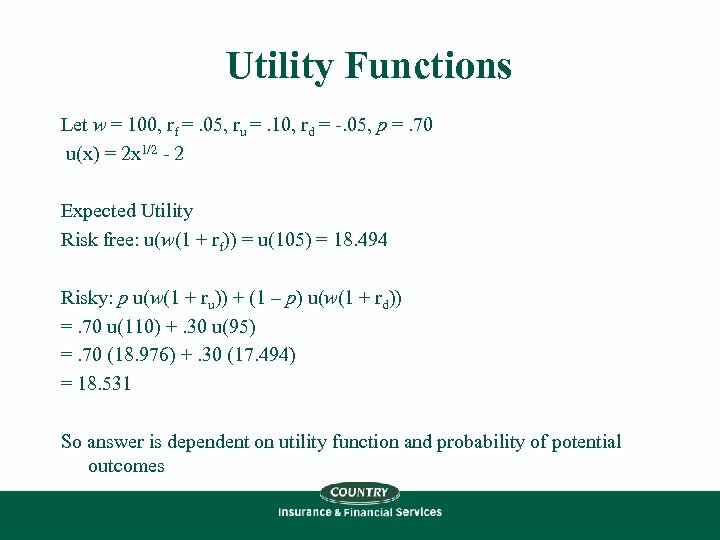 Allocation between Risk-Free and Risky Assets Assume utility function is u(x) = (x α) / α, for 0 < α < 1 We always want to maximize our expected utility The goal then would be to create the expected utility by plugging in the two possible ending wealth states into the utility function and weighting by the probabilities p and 1 -p. This would give us the expected utility. 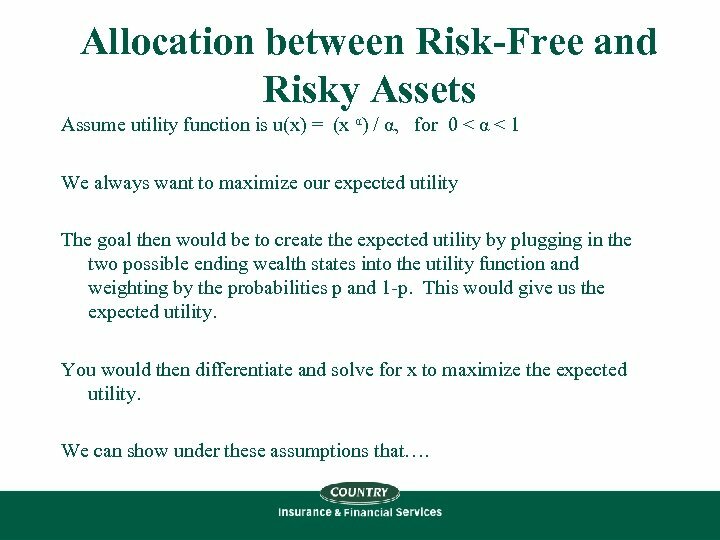 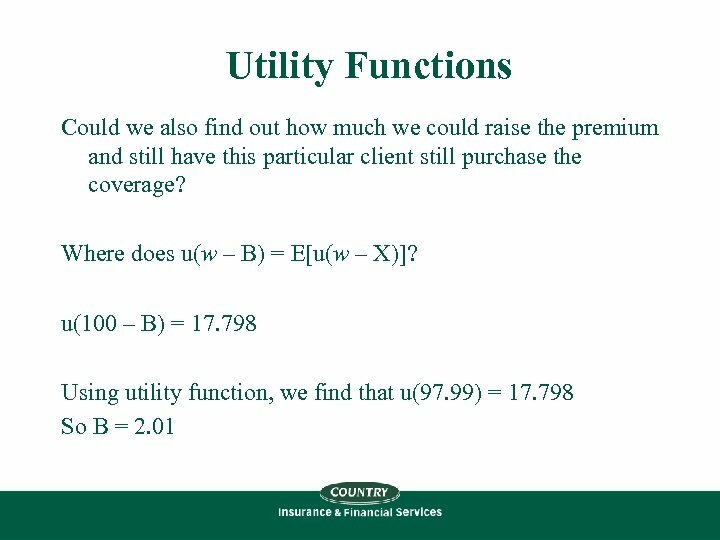 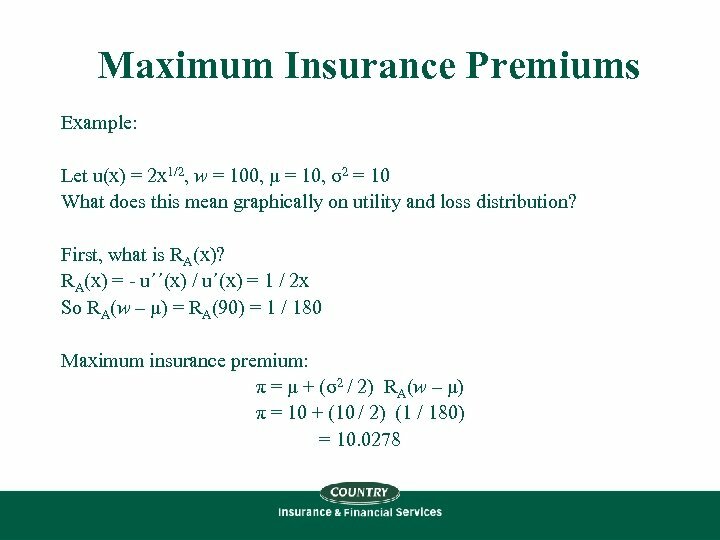 You would then differentiate and solve for x to maximize the expected utility. 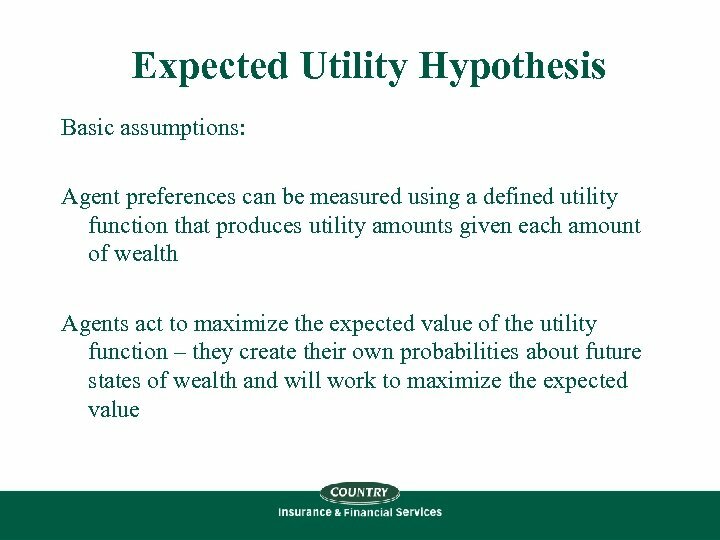 We can show under these assumptions that….